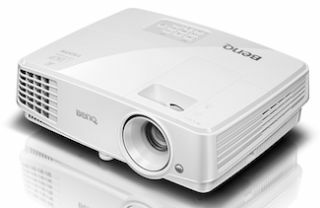 The What: The BenQ MX570 projector is 3200 ANSI lumen projector. The What Else: Designed for setups across entire facilities, the MX570 features remote management via LAN — providing simplified management for IT staff via remote monitoring, scheduling, and maintenance from any location over a network. Equipped with BenQ’s SmartEco technology, the MX570 lowers energy expenditures through a variety of settings while delivering lamp life of up to 10,000 hours and up to 70 percent lamp power savings. To further reduce power consumption, an “Eco Blank Mode” allows teachers or presenters to blank out the screen whenever projection isn’t required, while a “No Source Detected” mode automatically lowers brightness to 30 percent when no display has been detected for more than three minutes. After 30 minutes of inactivity, the projector automatically shuts down to save power.